The annual Habitat for Humanity golf outing is 1 p.m. July 19 at the Elks 797 Golf Course. Lunch begins at 11:30 a.m. with a shotgun start set for 1 p.m. The team of Bill Kassinos Sr., Amanda Dixon, Dennis Kruszka and Tim Titus came in with the winning score of 50 last year. They were sponsored by the Elks 797 Club. They received rounds of golf for their first-place score. This year’s first place team will have the same winner’s prize. A hole sponsorship is $125 and the team entry fee is $300. This outing is critical to the group’s charitable efforts to build affordable secure housing in Clinton County. 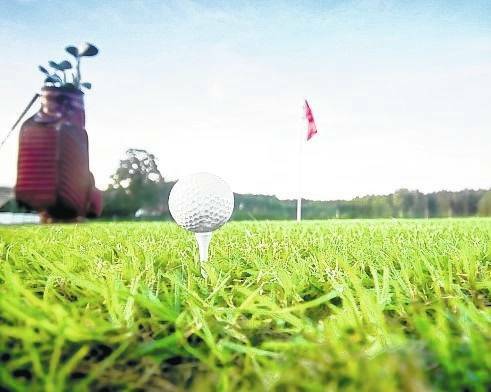 Golfers are assured of a great game of golf and the satisfaction of contributing to a local organization that ensures new homeowners solid affordable housing. Many are mistaken that Habitat gives away free homes. Deserving families and individuals who qualify for the program make a no-interest monthly mortgage payment to the Habitat for Humanity organization. Most homes cost between $60,000 to $80,000 and homeowners have a mortgage. Recently, our county organization celebrated its very first mortgage completion. The homeowners’ payments combined with charitable contributions allow the group to continue to build new homes for the next deserving homeowner. These contributions keep the home price lower than the standard square foot pricing for building a new home. The group is working on two new homes in Midland this summer and will hit its 40th home built in Clinton County this summer. The Habitat ReStore is open for business 10 a.m. to 2 p.m. on Saturdays and 4:30 to 7 p.m. on Wednesdays. The Restore is located on 1032 Main Street near Houston’s Heating and Air Conditioning in Wilmington. The ReStore has new and gently used household, hardware, lawn and garden supplies and is manned by volunteers or partner families who help the organization. For more information about the outing or becoming a Habitat for Humanity volunteer, call Len Perkins at 937-382-3736 or Wendell Compton at 937-987-2355.